The most common question we get from people is, “Well, how much longer?” This question doesn’t bother me at all. We genuinely appreciate the interest. When we explain the process to people, they are often surprised to hear about all of the steps and the amount of paperwork. It is clear to us that we are called to grow our family through adoption. Although there are times when the idea of the wait becomes discouraging, I am amazed at how at peace B and I are with this process. This process, I think, helps you really decide if you want to be parents. And, we absolutely want to be. 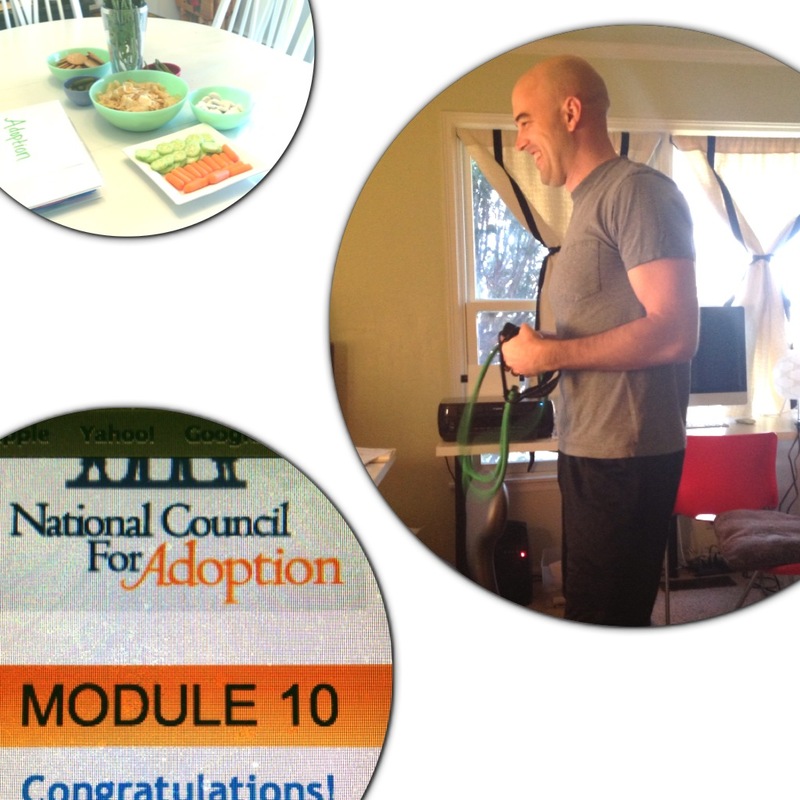 We are almost finished with 30 hours of training for our adoption. It has all been so good, so worthwhile, and so moving. So, if you want a graphic of the process, look at the one below. We are currently meeting with a wonderful social worker to do our homestudy. It will likely be finished in March sometime. B and I haven’t been blogging as frequently because we have been busy working, home studying, completing training, celebrating the Ch!nese New Year, and carving out time to just be a normal couple. As much as this time of waiting is preparing for a little one, we realize that part of this is making memories as a couple outside of our adoption experiences. Last Monday, we had our first homestudy visit with our social worker. 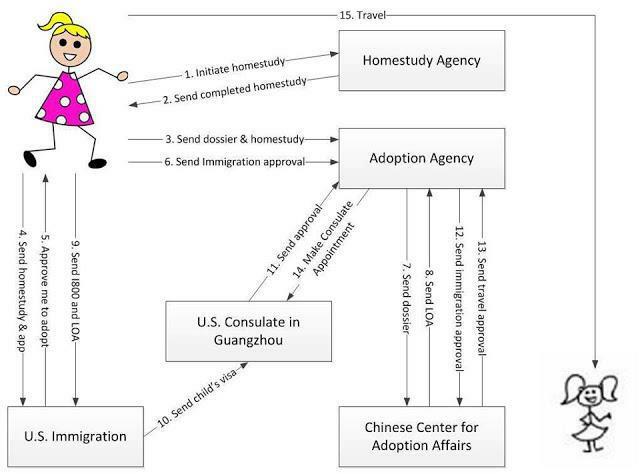 A lot of people who haven’t adopted are naturally curious about what a homestudy entails. Google it! 🙂 Our next homestudy visit is tomorrow and it is my one-on-one visit with the social worker. The homestudy entails us answering a series of the social worker’s questions about our families, our life as a married couple, or thoughts on becoming a transracial family, how we will respond to racism, our plan for attachment and bonding, and how we plan to discipline. As you can tell, all of these topics are important. In addition, our social worker was great about answering questions we had. In addition to the homestudy visits, B and I have been busy completing the necessary training. We need to finish the required training before our homestudy report is complete. This weekend, I finished 10 hours of the Hague Training. B is very close to finishing his. We finished our evening playing games. We took time to pray for our little one, her biological family, and her caregivers–for they are all a precious and important part of her life. 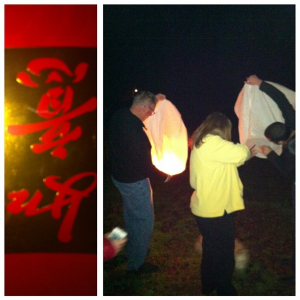 Trying to light Chinese lanterns. Snacks for our social worker during our homestudy. I’m fairly confident she can’t eat our food, because she did not touch it. Ha! Bryson was working out while watching the adoption training videos. He is pretty proud of himself for getting a 4.0 on the quizzes. Seriously. Screenshot of the completion screen.